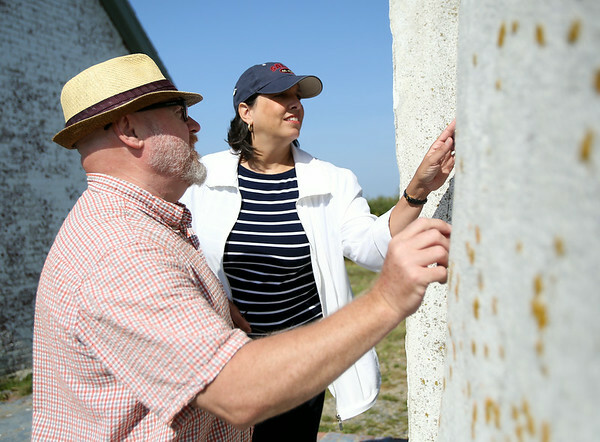 Salem Mayor Kim Driscoll and City Councillor Bill Legault examine the side of the lighthouse on Bakers Island following a short ceremony in which the deed to part of the island, which includes the lighthouse, was transferred from the US Coast Guard to the Essex National Heritage Commission on Wednesday morning. DAVID LE/Staff photo. 8/27/14.